Posted on Tuesday, April 29th, 2014 at 1:25 pm. What makes you Taiwanese? Is there an answer that’s more right than others? What terms make up that definition? I’m tempted to begin this article by listing what I feel qualifies me to claim Taiwanese identity, as if somewhere out there, there’s a scale and the more Taiwanese I can be, the more my writing here matters. Nonsense. When we create definitions of identity based on looks, language, or legalese, we use a whole host of criteria to tell people if they are enough or not. We default to such theories, myself included, because they’re simple, but the practices of lived identity bloom beyond the barriers we place around them. Though I’ve received nothing but kindness from people as my online presence as a Third Culture Kid from Taiwan slowly grows, the staying power of narrow definitions gives me pause. Laying claim to my own Taiwanese identity dredges up memories of previous attempts being met with casual dismissal, from Americans and Taiwanese alike. For example, this past January, the night before I left home for America again, I was at a Wellcome in downtown Tainan doing last minute shopping. Nescafe 3-in-1, blueberry ice cream Oreos, pineapple cakes. Suddenly, eager parents pushed a tiny child in my direction, ordering her to say “Hello!” to me. She was shy and a little confused. I squatted down to her level and addressed her in Mandarin. 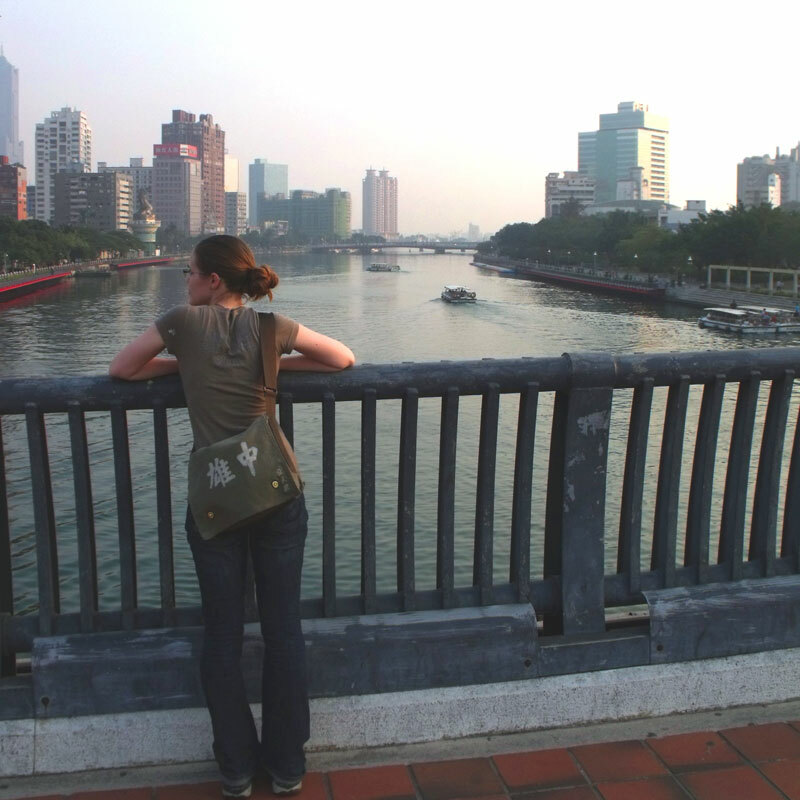 “You could just say nihao to me, you know.” I looked pointedly back up at her parents. “How do you know that I speak English? What if I’m from France or Spain or Russia? Luckily, I’m Taiwanese just like you, I was born here too!” Her parents looked startled, the little girl simply giggled. “There are many kinds of Taiwanese people, you know! I’m one of the newer kinds, and I’m glad to meet you today.” I stood back up, smiled brightly at her parents, and walked away to try and shop in peace. From the next aisle over, I heard her parents intervene after a brief pause. “She’s not Taiwanese. She’s just a foreigner who was born in Taiwan.” Rather than feel heartbroken, it just stung a little. Their exclusionary definition of “Taiwanese” is nothing new to me. I still know who I am. I wish they could see it too. I share this story with you not looking for pity or affirmation, but to suggest that we, myself included, examine our definitions of “Taiwanese” and consider whether we should expand them to better fit the reality of who Taiwanese are in 2014. Taiwanese people come in different colors and speak many languages. We arrived thousands of years ago, hundreds of years ago, seventy years ago, thirty years ago, just a few days ago. Taiwan has, for millennia, received people from all over the world, touched their hearts, and in turn sent people back out into the world. People like you and me. Even if our feet have never touched its ground, we care about its past, present, and future, we call it a home. We still hope for recognition, personal and international, of what we know already to be true in our hearts. We are Taiwanese. We know, for ourselves, who we are. We know. Allow me to suggest an inclusive definition. To be Taiwanese is to self-determine. We Taiwanese are what we say we are. 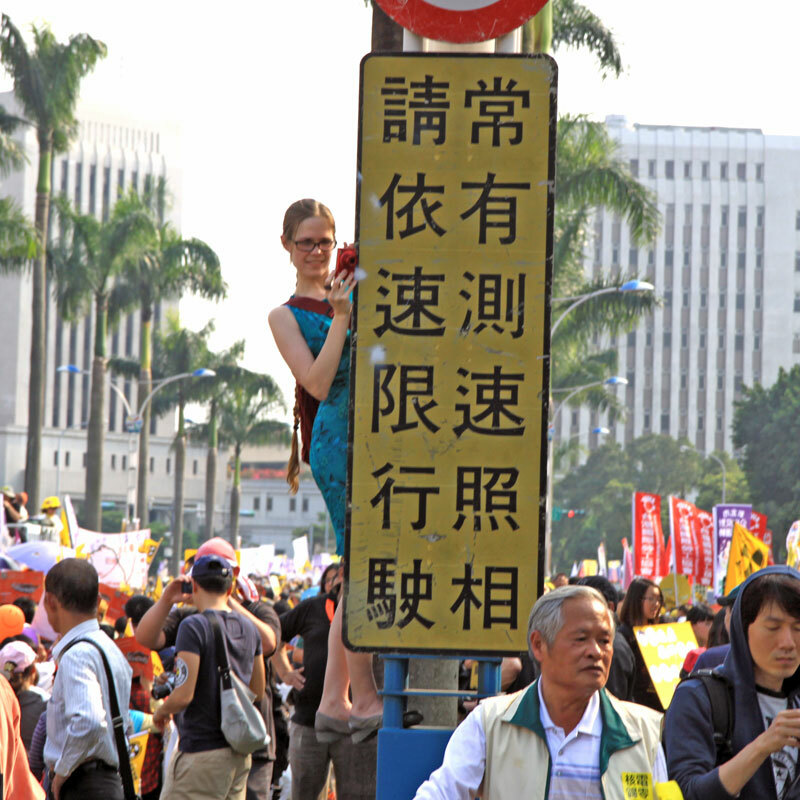 We are, every one of us, by our self-determination, shoring up Taiwan’s identity against those who would deny it. I no longer live in Taiwan, joining the ranks of Taiwanese around the world who, instead, visit – annually, semi-annually, irregularly, or maybe even never. Miles (or kilometers) can never quantify the heart. Those of us who live away from Taiwan, yet leave pieces of our hearts there, tell its story around the world. There are many kinds of Taiwanese people. I’m one of the newer kinds. I’m glad to meet you today. Katherine Alexander is currently a graduate student at the University of Chicago. She blogs at Far From Formosa, and misses Taiwan daily. “foreigners” is often used by the taiwaners as an euphemism for “whites, blacks, arabics, and so on”. Great article, you just be you. Thats good enough! Came across your post via a friend. My wife & I are of different ethnicity and we now have 2 girls. As parents we do share doubts on how our babies will be accepted in society as they grow up and look for references. While we do fear of them ‘not being in’ we do believe mixed culture – be it of mixed parents or being born and bought up in a different country than parents etc (my wife is born in US while her parents were from Japan) – is a relatively modern phenomenon at the scale we see (in past it was absolute rarity) only possible due to current state of world economy and people willingly or unwillingly are just lagging behind. A couple of generations (say 20 years from now) it should be a norm where ‘who you are’ is not defined by how you look or what your skin color is or where you were born. Passports/citizenship exists only to make it easy on state administration and not societal or human. I lived in 2 countries to date and call both home and now heading for probable life long stay in a 3rd new country. Taiwan is suffering now. 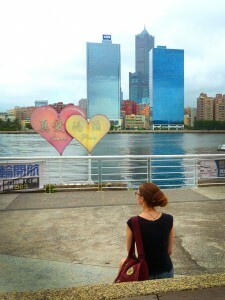 Wish writer can sharing her view, and encourage Taiwanese. i’m so love u,taiwanese girl. Great passage & thanks for sharing. Love the land & the people. We are who are we think we are. +1 for self-determination! Kate, thank you for this article. I am Taiwanese and it’s nice to know that it doesn’t matter, my passport, my skin color, or the walls of what defines someone’s heritage. Proud of be a Third-culture kid! The Dutch encouraged the Chinese to immigrate, the Japanese were here for 50 years, they still argue over taro root and sweet potatoes, the aboriginals shake their heads, and then you got the big noses – that’s Taiwanese! Wonderful piece, Katherine! Have you considered translating this piece into Mandarin, the better to share in Taiwan? Most of my Taiwanese family is far more comfortable in Mandarin. I thank all of you for your kind comments. 歐老師 and Biaka, you’re both making me incredibly nostalgic for my childhood now! I hadn’t considered translating with it, but I’d be interested in working with someone (Anna?) to team-translate it. I’m much better translating text Mandarin-English rather than the other way around. Well you have a heckuva more legitimate claim to being Taiwanese than the current China-born, treasonous president, that’s for sure. In March 2013, I did try asking President Ma what being Taiwanese meant to him, but he didn’t really answer my question. My father was born in Hong Kong but ancestor is from China, and my mother was born in Philippines and have both Spanish and Chinese blood, but I was born in Taiwan and stayed there for 5 years and moved to Philippines ’til this day but annually visits Taiwan. So I was thinking can I call myself Taiwanese not just because of my citizenship but because I was born there and used to lived there even though technically don’t have any Taiwanese “blood”. I used to be good at speaking Mandarin and Taiwanese but since I’ve moved to Philippines for good already, I forgotten most of them already since I don’t have anyone to speak it with. I just finished reading an on-line interview which was posted on FB. ….I’m 100% a foreigner, not Taiwanese at all, I am half Greek-Cypriot & half Irish, but born and educated in the UK. My point is, when i moved to Cyprus to live, (stayed there 15 years) i had the same problem as Katherine, i was looked at as a foreigner and never Greek-Cypriot, i learned the language well, but still i was called…”A Charlie” that was the nick-name for foreign Greek-Cypriots, never bothered me though, but when i see your article here, i see the same scenario, I’ve been living here 14 years now, and married to a local girl, i have a 5 & half year old daughter, she’ll probably go through what you and i have been through. I will tell her to “Take it with a pinch of salt” as we can’t change them, it boils down to they got nothing better else to do, and that’s why they say these things, their life may be boring and are letting off steam i suppose. It’s kind of funny seeing it this play out again, but in a different country. Acceptance is important, but “I know who I am” is foremost. As a third culture kid and military brat, I have been reaching out to meet more Taiwanese after 45 years of absence, and am very pleased to meet you. these self-righteous so-called Taiwanese got narrow mind and drove real Taiwanese, the aboriginals, away in the mountains. Taiwanese-ness is like the sun we’re exposed and the air we breathe, it’s like Gaia. This Formosa nourishes us unconditionally and we should also be open-minded and welcoming for so-called aliens. It’s all about fusion and convergence, not division. like Dr. McKay, he was devoted to people here. isn’t he also Taiwanese? hope we don’t sully the good name of Formosa. As fellow TCK, I’m delighted to see this post. My experience is different, but I can understand how you must feel. In China, people always expect me to speak Chinese only because I look Asian. While acceptance is important, I’ve learned not to care everyone’s opinion. After all, not everyone matters. I love making friends, yet I always find myself stick with the ones who can accept me. Home may be a complicated concept to many of us, but deep down, what makes us feel a sense of belonging. *deep down, we all know what gives us a sense of belonging. 2014年今天，某位挪威出生挪威籍的黃皮膚黑髮人，就算到了英國還是會被認為是from China，被認為是Chinese??!! 即使他的父母是韓國.日本.泰國.菲律賓人??!! 在許多國家他依然經常被金髮白膚色的人說他是”Chinese” ??!! 他總是聽到”你好”的問候，而不是其他語言的問候例如”O-genki desu ka”in Japanese ??!! 身在美國或歐洲的我，常被問來自哪裡，當我回答”台灣”，也蠻多美國鄉村的人會”oh~”然後以為我說的是”Thailand”。或是歐洲人總是因為看見我的黃皮膚黑頭髮，或者聽到我說著寫著讀著”Mandarin”，就認定我是”From China”，問我是不是來自”Beijian”??!! Many western people still don’t know there’re still many people speak in “Mandarin” from other countries but not China. But I still believe most of people in the world are open minded, certainly not include the parents you mentioned in the article or some western people I met in US or Europe. What’s a pity. It’s alright, I am Taiwanese by ethnicity and was born there, but grew up in America. Most Taiwanese don’t consider me to be a real Taiwanese either. I am a Waishengren, which implies that I am not a local Taiwanese person. My paternal grandfather is a Chinese from Fuzhou, the capital of Fujian province. However, my paternal grandmother is a benshengren Hoklo and my mother is a benshengren Hakka. I choose to identify as a Chinese more than a Taiwanese since it gives me more pride and self-confidence. Also, I have a strong affinity for China in my heart. I don’t like it when people claim that Taiwanese isn’t Chinese since it implies that I am a not a pure Chinese person. I personally believe that all Taiwanese are Chinese descendants unless you are an aboriginal. I feel that I am a Taiwanese traitor for supporting reunification instead of independence. I feel that most Taiwanese-Americans, unlike me, align with the Pan-Green coalition and that is natural since they want to form a distinctive Taiwanese identity. I never tried to connect myself to any Taiwanese organization and I will be surprised if people respond to my comment.